For those who want to know a bit more about what a CCB is as well as the CCB bands that develop. Here is the visual. 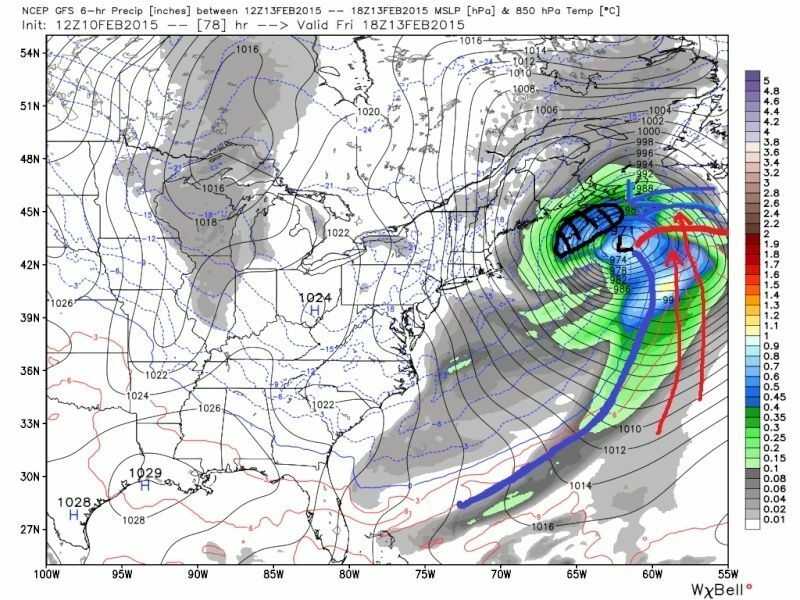 Obviously these are not all the same storm. But you get the picture. 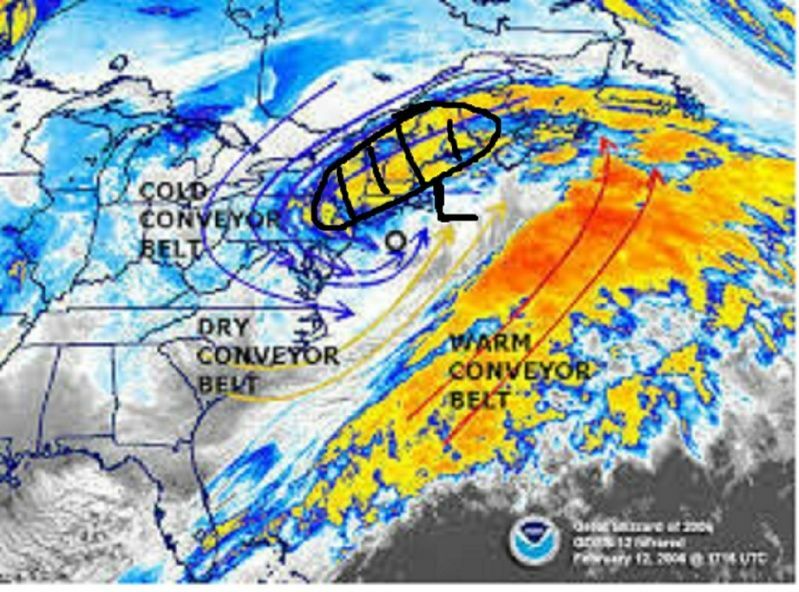 "Air in the cold conveyor belt originates in the lower troposphere of the downstream anticyclone(low pressure) and passes underneath the warm-frontal zone . 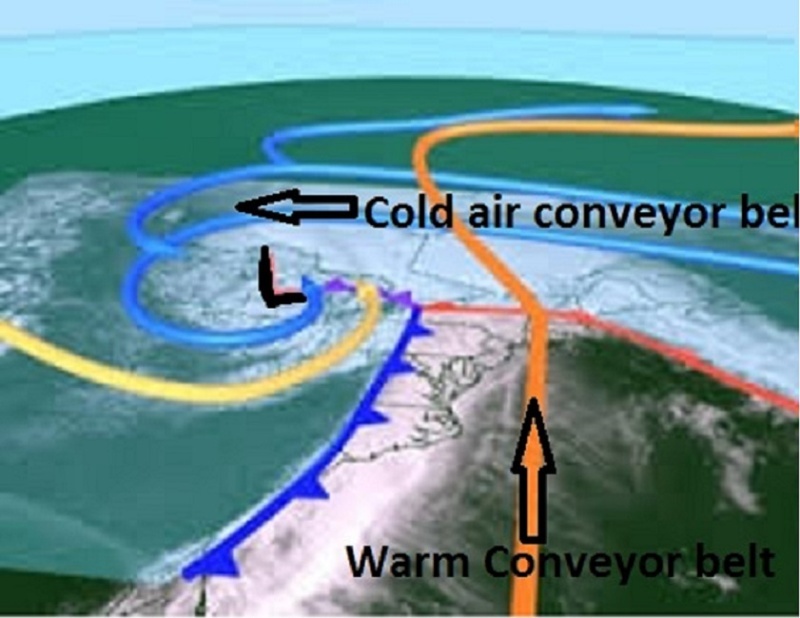 Thus, the warm front separates the warm and cold conveyor belts. Potential vorticity(spin) is created in the cold conveyor belt beneath the area of latent heat release in the ascending warm conveyor belt. The increasing potential vorticity(spin) within the cold conveyor belt is transported westward toward the lower-tropospheric cyclone center. As demonstrated by Stoelinga (1996) and Rossa et al. (2000), the diabatically( latent heat released)-generated potential vorticity can enhance the cyclonic circulation about the surface cyclone without appreciably affecting the location and overall structure of the cyclone. Since any precipitation generated within the warm conveyor belt must fall through the cold conveyor belt, the temperature and humidity of the cold conveyor belt can play an important role in controlling the type and amount of precipitation reaching the surface."